A new edition will be published July 1, 2019. 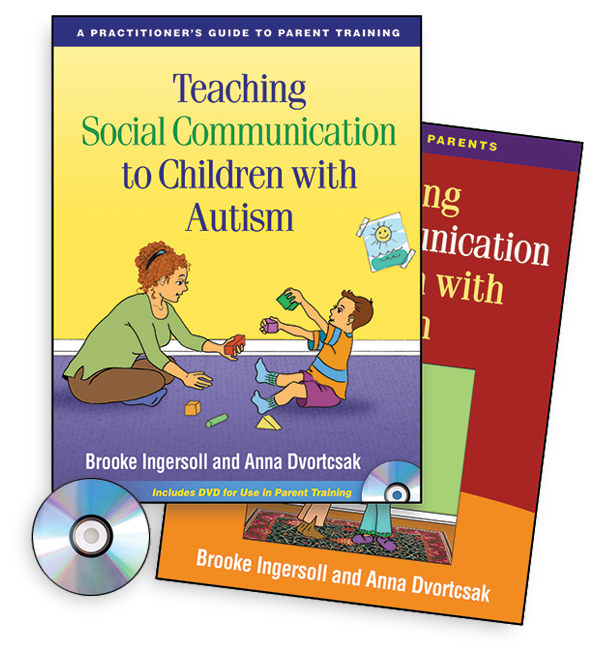 This two-book/DVD package presents a parent training approach that is accessible, evidence based, and highly practical. Grounded in developmental and behavioral research, the Practitioner’s Guide provides step-by-step guidelines for conducting parent training individually or in groups. It takes proven techniques for promoting the social-communication skills of young children with autism (up to age 6) and breaks them into simple yet effective steps for parents to follow. The DVD, for use in the training sessions, features video clips of parents implementing the techniques with their children, as well as PowerPoint slides. The Practitioner’s Guide also features 30 reproducible handouts and forms. The companion Manual for Parents helps parents master the techniques and use them at home with their child during daily routines and activities. Copies of the parent manual are also sold separately.